Rusov, Yurii [Русов, Юрій; Roussow, Georges], b 8 January 1898 in Kharkiv, d 2 August 1961 near Montreal. Biologist; member of the Shevchenko Scientific Society; son of Oleksander Rusov and Sofiia Rusova, husband of Natalia Gerken-Rusova. A graduate of Kyiv University and Vienna University, he represented Ukrainian students as a delegate to the Central Rada in 1917 and taught zoology and ichthyology briefly at Kamianets-Podilskyi Ukrainian State University. 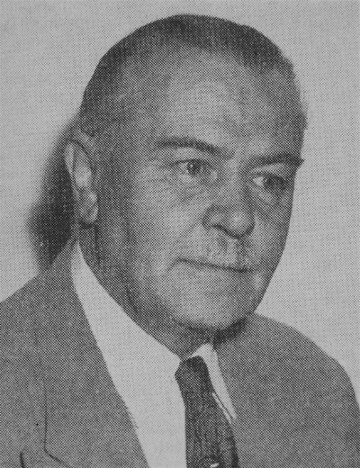 In the 1920s he taught in schools in Czechoslovakia and in 1930–41 he headed the ichthyology division at the National Zootechnical Institute in Bucharest. In Berlin (1941–6) he was a leading figure in the Ukrainian hetmanite movement. After emigrating to Canada he worked (from 1947) at the University of Montreal and the Mont-Tremblant Biological Research Station. His papers are located at Library and Archives Canada in Ottawa.